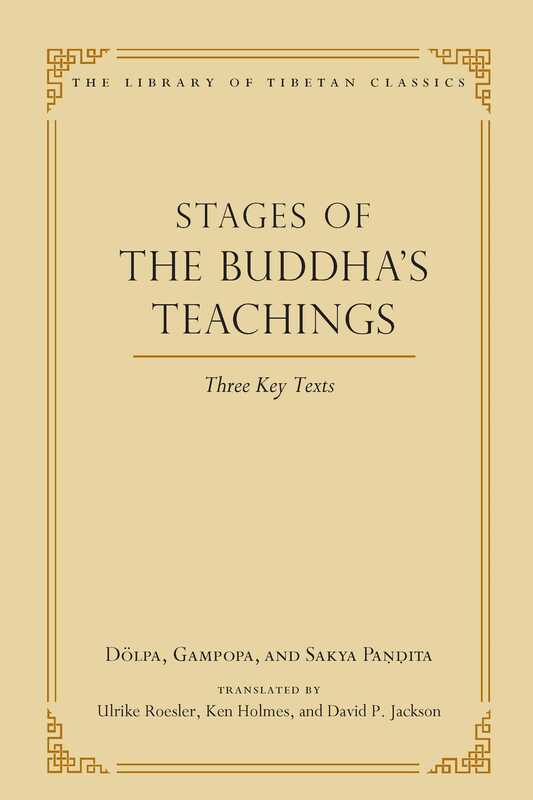 Stages of the Buddha's Teachings is an extraordinary and systematized representation of the complete path to enlightenment. The “stages of the teachings” or tenrim genre of Tibetan spiritual writing expounds the Mahayana teachings as a graded series of topics, from the practices required at the start of the bodhisattva’s career to the final perfect awakening of buddhahood. The three texts in the present volume all exerted seminal influence in the Tibetan Buddhist tradition. The first text, The Blue Compendium, presents the instructions of the Kadam teacher Potowa (1031–1106) as recorded by his student Dölpa (1059–1131). This text is followed by Gampopa’s (1079–1153) revered Ornament of Precious Liberation, which remains the most authoritative text on the path to enlightenment within the Kagyü school. The final text is Clarifying the Sage’s Intent, a masterwork by the preeiment sage of the Sakya tradition, Sakya Pandita (1182–1251).